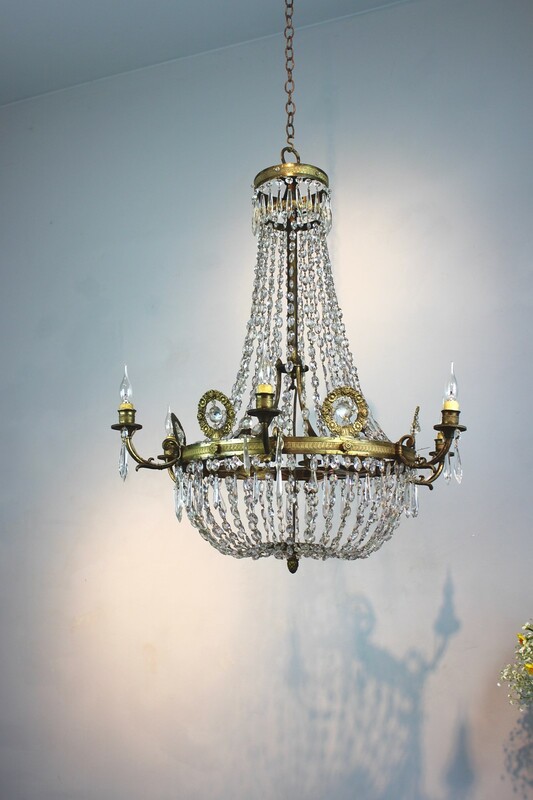 A really pretty 19thC Italian chandelier with brass repousse decoration and cut glass ornament, decorated with brass acorn finials and having the original hook and eye internal hanging mechanism to support the lower half. 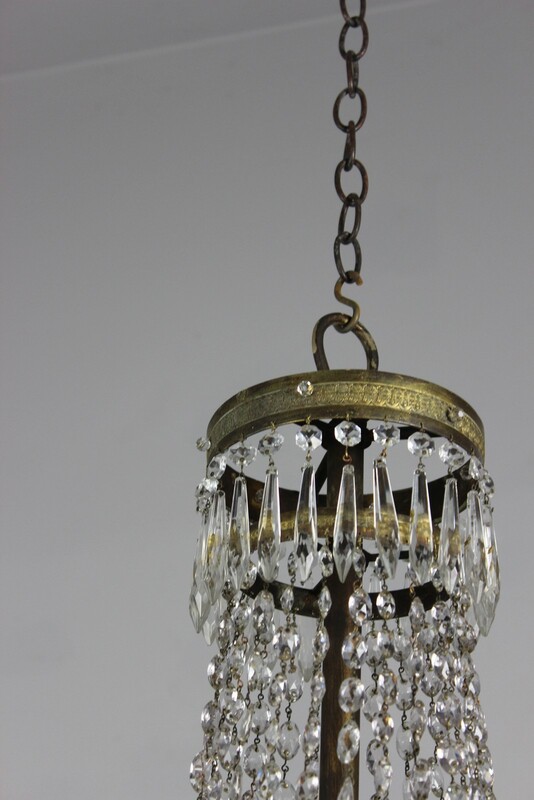 Each of the 6 arms with embossed brass and decorated bobeches, later drilled for electricity and fitted with small LED candle bulbs. 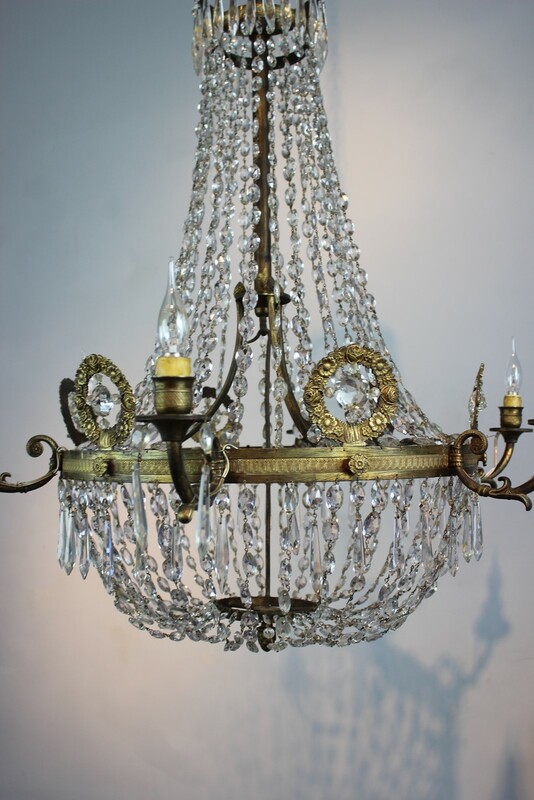 This chandelier has exquisite workmanship and the more you look the more you see. 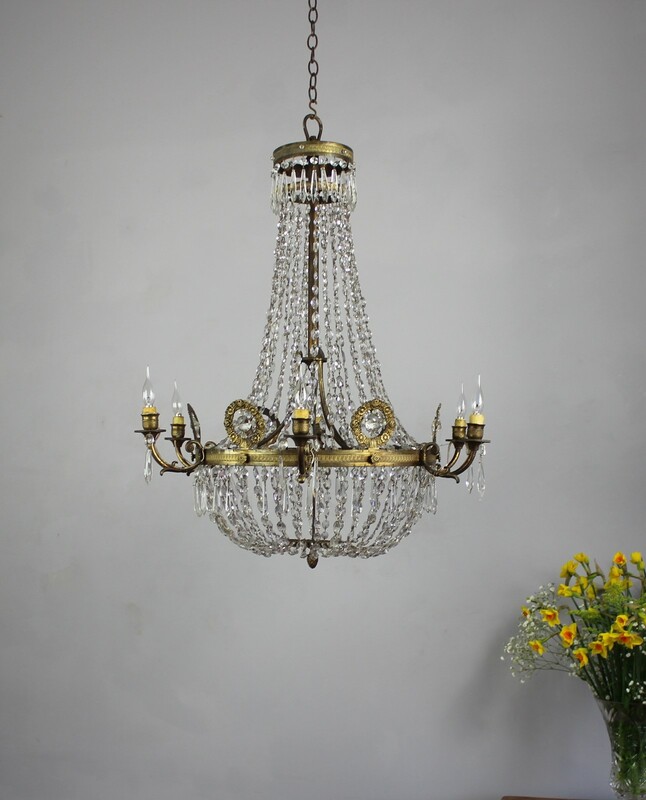 Sold with complimentary ceiling plate and a metre of aged chain and flex. 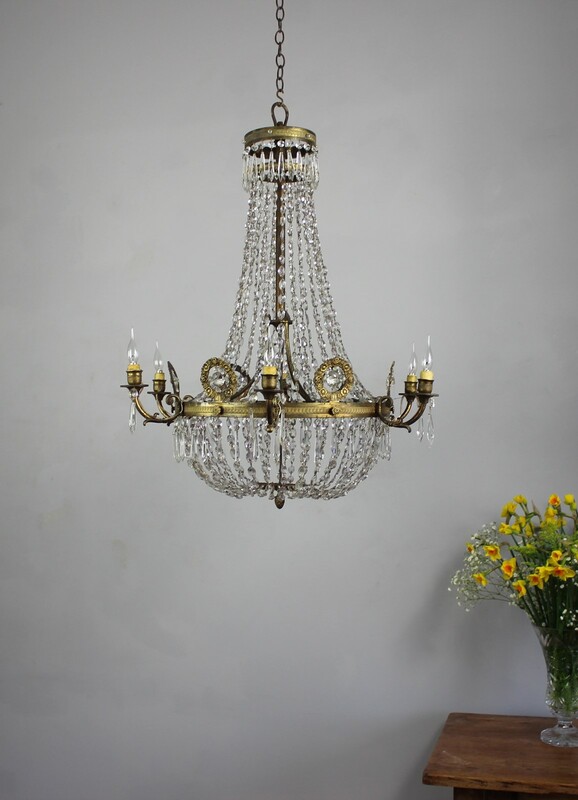 Very delicate open and airy chandelier suitable for a smaller dining room or entrance hall, drawing room etc. Italian circa 1890. Owners Jill and Maurice Perry have their large showroom, which is easily found, on a local Industrial Estate in Norfolk where there is easy parking. The large premises provides them with ample space to work and exhibit their pieces from. 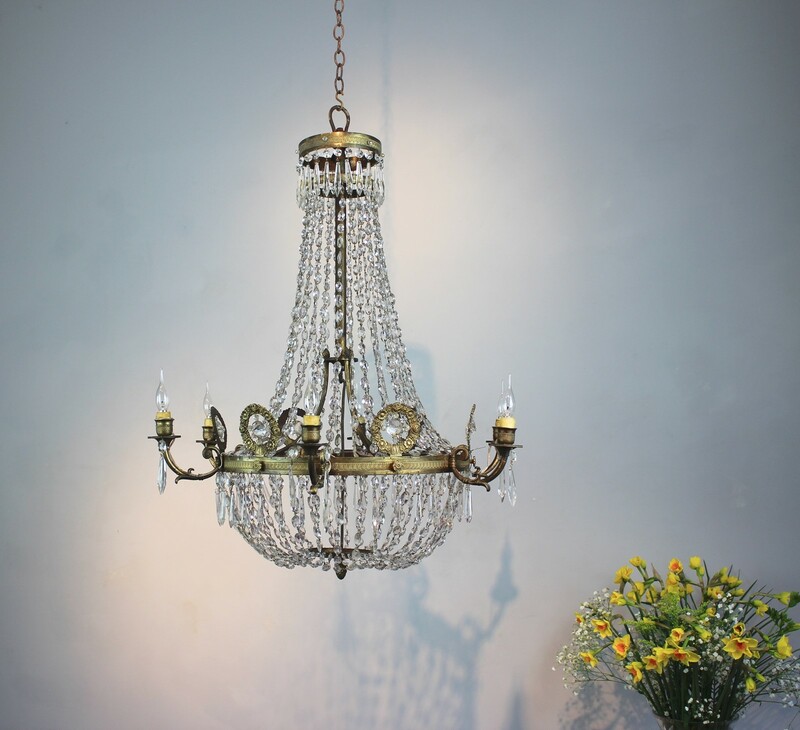 NDA have been specialist lighting dealers for many years and as well as selling a vast array from all periods, they also restore all types of lighting, from antique chandeliers to modern 20th Century pieces, in their in-house workshop. Clients are welcome to visit to see their work and view their items for sale. The showroom is open Monday-Friday, 9am-5pm, Saturday, 10am-2pm. They visit Europe several times throughout the year buying. NDA exhibits in London three times a year at the Decorative Fair, providing further opportunity for clients to come and meet them and view their stock.